Work around to getting Backup and Migrate to work with Acquia Dev Cloud? 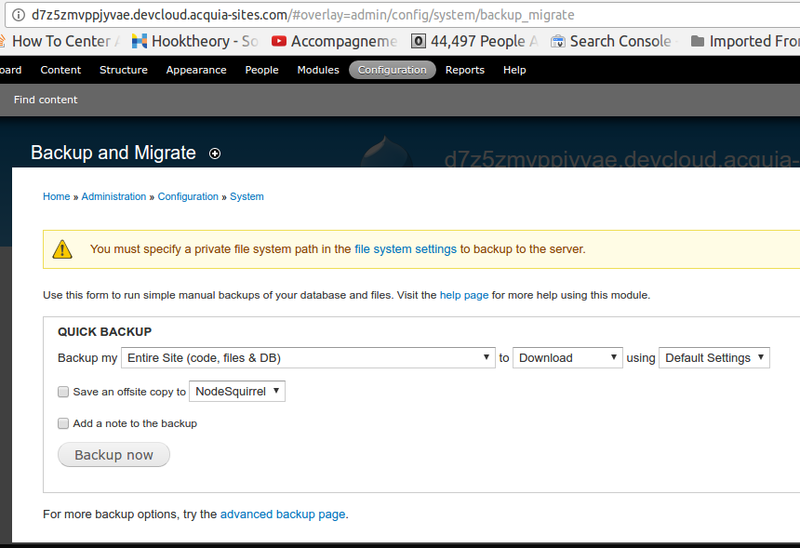 Currently, when you host a site onto Acquia Dev Cloud, they disable the ability to install backup and migrate module due to it affecting their "server" setup. This proves to be a big nuisance when trying to create a quick backup of a site and to even make scheduled hourly backups. The suggest us to use the Acquia platform to do backups, but it's totally inefficient since it cannot schedule your own backup times. And doing this via drush is troublesome if you just want to do a quick backup because you wanted to make a change on a site just in case it breaks it. 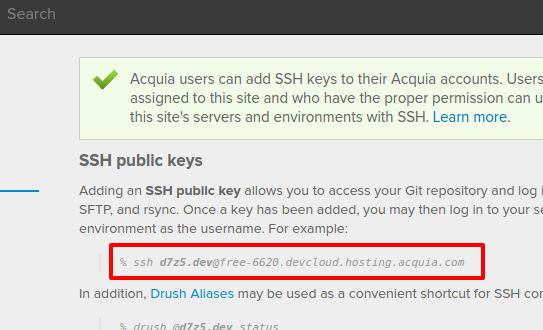 How would one go around this problem of backing up a site with Acquia dev cloud? The best is enable your access to the command line to their server. For this you need to store your public ssh_key in your profile on their platform. Sign in to the Acquia Cloud interface. Select your application and environment. What follows is using drush ... but wait ... you can automate the use of drush : I explain. Since you have access to the command line, you can also use scp to transfer your backup. By the way you won't have the possibility to access crontab -e there, however, you can write a script and execute from your computer to connect via ssh, do the backup, and get it using scp. Once this script is written, you can use the cron from your computer to execute it every hour if you want. If any other problem please comment. Correction : The install of Backup And Migrate works. Not the answer you're looking for? Browse other questions tagged drush backups acquia-cloud or ask your own question.